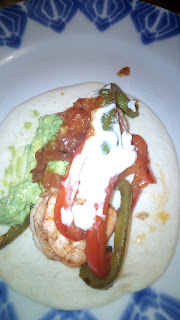 Academic-Capital: Shrimp Fajita Recipe-A cheap way to do it! Shrimp Fajita Recipe-A cheap way to do it! I have been to lots of different restaurants and paid $17 for a single shrimp fajita meal. Two people and that is around $40 not including the two glasses of wine that also cost $10 a piece. If you want to add a tip your are looking at $70. Not bad but you might be able to make a something that event tastes better in your home. For under $22 you can get yourself a bottle of wine and make shrimp fajitas that feeds 4 people. They turned out fabulous. Just as a side note I got the uncooked large shrimp from Sprouts. They made for a tastier meal. Heat 1 tablespoon of oil in a large skillet over medium-high heat. 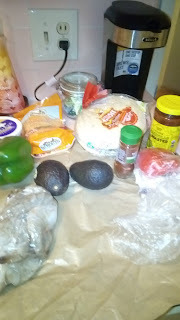 Add the red and green bell peppers, and onion. Cook, stirring frequently until peppers are hot, but still slightly crisp, about 5 minutes. Set aside. Pour the remaining oil into the skillet, and add the shrimp. Cook, stirring occasionally, until pink. 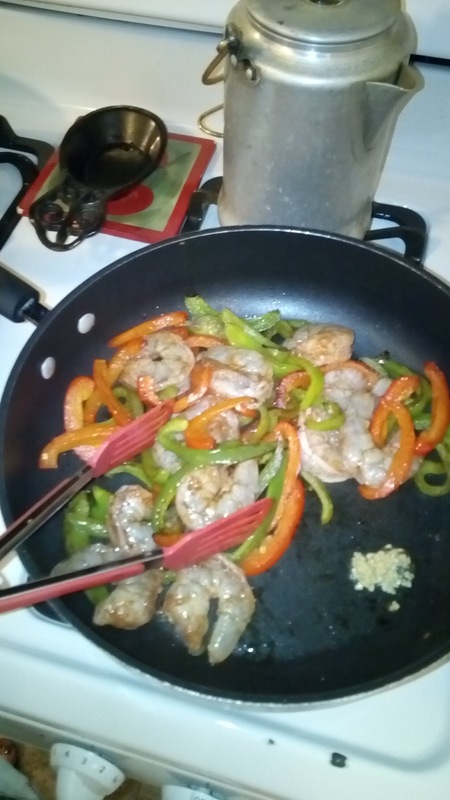 Reduce heat to low, and return the peppers and onion to the skillet. Stir in taco seasoning and water. Simmer until peppers are heated.